06/05/09 National Express going off the rails? 28/03/09 After Terrier, FRES and Warrior? David has co-sponsored a Commons motion calling for another look at air passenger duty. The motion asks that regional airports should have measures to protect services under threat. 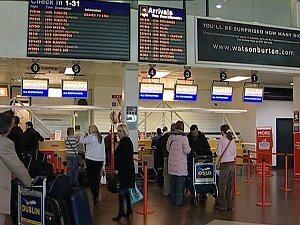 That this House calls on the Government to carry out a robust and transparent assessment of the impacts of air passenger duty on regional air services, to consult airlines and airports before proceeding with any further increases, and, should this assessment confirm that damage is being done to regional services, consider measures to relieve or protect those services under threat. David has said the Chancellor will walk a tightrope when presenting the pre-Budget report. 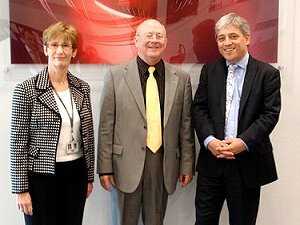 But David said he was confident that a Labour Chancellor would safeguard the most vulnerable and their services. "The Chancellor is going to have to walk a very difficult tightrope here. But I am sure because he is a Labour Chancellor that the most vulnerable will be protected and important front-line services will be maintained." The government has said that local councils should find the money to upgrade the A1 in Northumberland. David tackled the Transport Secretary Lord Adonis in the Commons Select Committee, saying the road should be upgraded on safety grounds. "Secretary of State, one of the objectives as a department is to contribute to better safety by reducing the risk of death and injury. This stretch of road is notorious for serious injuries and deaths - surely it has to be taken into account." "People are going to die as a result of the state of this road unless something is done about it." Lord Adonis said that local councils were responsible for the road and rejected calls for the government to take it over, saying it doesn't have enough traffic flow to become part of the national strategic road network. A full account of David's questioning of Lord Adonis may be read here. David has tackled the Transport Minister about the East Coast Rail franchise. In blunt questioning in the Commons transport committee, David accused the government of underestimating the ability of the companies to deliver, citing both GNER and National Express. He asked Chris Mole if he could be confident of getting it right next time. David has called for restraint in fare increases on the East coast Main Line. Fares set by National Express are due to come into force in January, but David says that the government owned railway should show restraint from now on. "It is early days for the new owners, these are obviously fares set by the previous operator. It is a difficult situation, they have to run a railway but balance those needs with the public's demands for reasonably priced tickets. "We don't know what the economic situation will be a year from now, but if it is still in public hands then we would expect to see more restraint then." David has backed plans for Northern Rock to remutualise, to become a building society again. 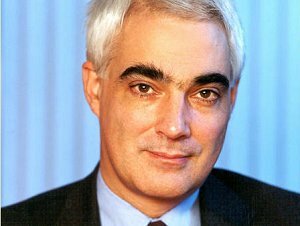 He has backed a Commons motions which calls on the government to restructure the banking sector to encourage mutual societies. "I think building societies give a much better service to customers than the banks and Northern Rock was really a model building society. Things went wrong when it became a bank and returning it to a building society would be a right and popular thing." David has called for an early resolution for 230 Tyneside workers. 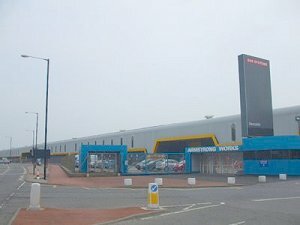 The National Express customer service centre at Baron House in Newcastle does not automatically transfer to public ownership when National Express hands over the east coast line. The workers' future is therefore uncertain. "As far as I can see the centre still has a function to play and uncertainty is never good for people in their employment. The sooner it is sorted out the better." The centre handles calls for National Express, not just for the East Coast which the company is losing but also for its East Anglia operation. Untangling this will take time. 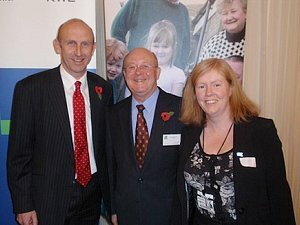 Health Through Warmth (HTW) was established by npower in 2000 in partnership with the NHS and NEA (Northern Energy Action) to help tackle the issue of fuel poverty, and associated cold related illnesses and excess winter deaths by facilitating the installation of energy efficiency measures and heating where they are most needed. David is an active supporter of Health Through Warmth because it makes a definite and decisive improvement in the health and living conditions of the most vulnerable people in local communities, those who are sick. In the Newcastle Gateshead area, the project has assisted 14,584 people, making a real difference to their lives. David asked a Question about the scheme to Energy Minister David Kidney. David has placed the issue of renaming St. James' park before Parliament. 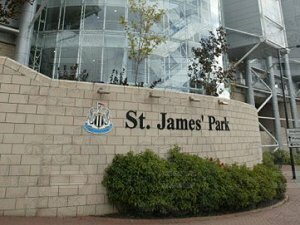 He has put forward a motion regretting any name change and calling on the club that whatever sponsorship deals are reached, the name of St. James' Park will live on. That this House regrets the intention of the current owners of Newcastle United Football Club to consider renaming St James' Park, an integral part of the City of Newcastle and Tyneside since 1892 and renowned throughout the world of football and beyond as symbolic of the game, and of the loyalty of its supporters to their club; and calls on the club's owners to reconsider or ensure that whatever sponsorship deals they may seek, the name St James' Park lives on in football and in Newcastle. David has hit out at Professor David Begg's plans for a high speed rail line to go to Manchester. In the Commons transport committee, Prof Begg stressed the needs of the Manchester - Leeds axis, rather than the North-East, including road charging to pay for it. "I have always been a bit nervous about it because it is dominated by the Manchester, Leeds, Liverpool axis and we were always going to be on the fringes of that." David also said that road charging would be very unpopular. It would have to be introduced in an acceptable way and he cited The Netherlands as an example where other road taxes were dropped. "Just to impose additional charges on motorists would be very unpopular before a general election and I don't think the Government would do that. There needs to be a more intelligent debate about how we raise the money to provide the public transport we all want and deserve." David's comments during the transport committee's session are available on this website. 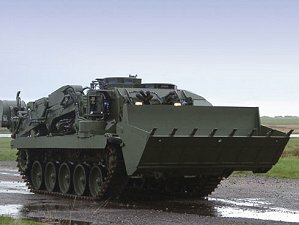 David has been pressing the government not to delay announcing contract awards for armoured vehicles. This comes as BAE announce restructuring that could cost the jobs of over 200 workers at the Scotswood plant. "I met with the defence minister at the factory earlier this year, and while these job losses are more to do with the company restructuring, I stressed that any further delays would harm their chances of success in future. "As a result I've been promised that a decision will be made early next year, and I and other MPs will be putting pressure on the MoD to make sure that deadline is met. "The whole thing has obviously been very disappointing for the work force, and it must be terrible for them. The only positive, if there is one, is that these are highly skilled workers with talents other employers will benefit from, and hopefully they will find new work sooner rather than later." 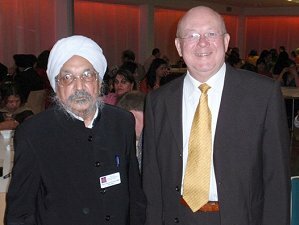 David attended the Gateshead Visible Ethnic Minorities Support Group event at the Civic Centre on Saturday 24th October. This annual event is always well attended and David, as a patron of the support group, is a regular attender and guest speaker. David told the attendees that Diwali - the Festival of Light - has a message for us all.
" We live in troubled times and there are a lot of bad people around - one example was seen on BBC Question Time last Thursday - but Diwali reminds us that there is more good than evil and more good people than bad people in the world. "It also reminds us that light will always overcome darkness and in the end peace will prevail. "I want to congratulate the organisers of tonight's event and the Gateshead Visible Ethnic Minorities Support Group for the work they do throughout the year to encourage community cohesion and harmonious relationships. You can be assured of the continued support of the local MPs and the council in the work you do. "My wife, Brenda, and I are delighted to have been invited here to Gateshead Civic Centre to celebrate these truths with you once again. Thank you for having us, have a wonderful evening." David has tabled a Commons motion expressing grave concern at S&N's decision to move Newcastle Brown Ale production to Yorkshire. He also pointed out that the move could damage the brand because it breaks the local link and would no longer really be Newcastle Brown. "I am concerned about the decision they have taken, which is going to affect 63 members of staff at the brewery and other people who service the brewery. I am also concerned about the lack of loyalty to the people of Tyneside given the fact that we all rallied around when there was a threatened take-over by Fosters. And this is the thanks we get. 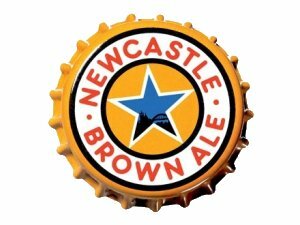 "I realise I am not going to appeal to their finer instincts on this issue, but perhaps I can appeal to their business instincts because what they are going to do will seriously damage the brand Newcastle Brown Ale and it will no longer be Newcastle Brown Ale in fact." That this House is gravely concerned at the news of the impending closure of the Scottish and Newcastle brewery in Gateshead with the loss of over 60 jobs and the resultant damage to the local economy; notes that this decision will mean that Newcastle Brown Ale will no longer be brewed on Tyneside; considers the resultant loss of credibility of the brand name to be detrimental to the future sales of the company's top-selling product and one of the country's major exports; and calls upon Scottish and Newcastle to reverse this decision in the interests of the employees, and local and national economy and the company itself. Amid evidence that drivers are breaking the rules on the High Level Bridge, David has called for more to be prosecuted. The bridge recently restored at a cost of millions, is now CCTV monitored and over 32,000 drivers have been seen breaking the rules designed to protect and preserve the bridge, but 62 have been prosecuted. "Obviously the police have got to set their priorities in terms of resources but there seems to be a huge gap here between those who are caught and those who are prosecuted which they should be trying to address. "People are flouting the rules which everyone else obeys and making life more difficult for people using public transport. If the rules are being abused to this extent the police and local authority need to find some other method of deterrent." Gateshead was honoured today when House of Commons Speaker, John Bercow MP, chose KIngsmeadow School as the first school outside London to visit in his new role as Speaker. The Speaker was welcomed to the School by David and Head Teacher Barbara Rouse. He toured the School, and had a lively exchange with students from Year 10 followed by a working lunch with members of the School Council. "Kingsmeadow, and Dunston Hill Primary School which shares the site, have both been completely rebuilt under funding from the govenment's Building Schools for the Future' programme'. Mr Speaker was visibly impressed with the state of the art buildings and equipment and the opportunities that they afforded to young people from this community." 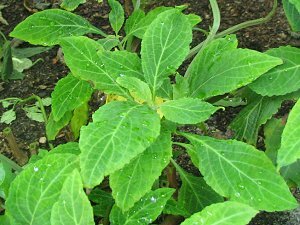 David has called on the government to look at the potentially lethal drug Salvia. Known as Magic Mint or Sally D, the drug induces hallucinations that can cause users to be out of control. Some deaths have resulted, and the drug is banned in many countries but not in the UK. "I think there is a case for the Government to take a look into this. If it's getting young people into a state where they are losing control, they are putting themselves in danger." The drug is easily available on Tyneside and is relatively cheap. YouTube videos have been posted from the area showing young people suffering the effects of this drug. David has poured cold water on Lib Dem claims of a breakthrough in the North-East. Nick Clegg has said that North-East seats such as Durham City and Newcastle North will fall to the Lib Dems and he has hopes for Newcastle East, Blaydon, Wansbeck and Wallsend. David points out that this is before the election campaign has started. "I doubt very much they will win more seats in the North East. I think that is very unlikely. We are not really into the General Election yet and we will see how things will pan out after the party conference and the campaign begins, but I am still optimistic about Labour's prospects." A recent YouGov/Daily Telegraph poll puts Labour ahead in the North, with the Tories second and the Lib Dems trailing. David has welcomed a consultation on linking up travel smart cards. The plan would be to enable passengers to use a single smart card to travel throughout England. Buses and trains would have all to use the same technology. "The Oyster Card system in London has brought great benefits to commuters. There you don't even need to swipe the cards, simply pass them across the scanner. This has been looked at for some years by the committee and news of the consultation is very welcome." "It just makes it so much easier for commuters to travel between different forms of transport, it is just so much more convenient for people. If this was linked in to the Metro it would be fantastic for the North East. It could also help to reduce fraud, but the main benefit it would bring would be that it makes travel some much simpler for everyone." 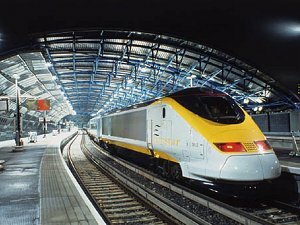 High Speed train - not coming our way? David has promised to fight against plans by Network Rail to ignore the North-East. 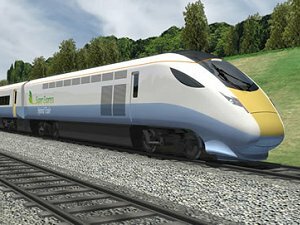 It is instead planning a high speed rail link from London to Scotland up the west coast, missing out the region, going through Carlisle rather than Newcastle. "Any proposals for a high-speed line that did not include the North East would be totally unacceptable to the people and businesses of the North East, and would be fought tooth and nail by MPs and local politicians." David has argued against increasing MPs' pay to cover expenses. He says this would favour MPs who live close to London because they would have fewer expenses to pay out. "Such a scheme would give a big advantage to MPs living near parliament, while other MPs would have a progressively lower salary the further away from London they lived." David says a better scheme would be for an overnight rate based on when Parliament was actually sitting. He also pointed that as in his case, mortgage payments could offer better value to the taxpayer than paying rent or hotel bills. He reiterated that with regard to his own expenses for his London flat, he and his wife had acted in good faith and had taken advice all along from the Commons authorities. He said employing his wife as his secretary, a post she held before they became close, was good value for his constituents. "My wife is widely acknowledged as an asset to my constituency and she is the hardest working person I have ever known. "I know that there are other MPs' spouses in similar situations and doing a very good job. I see no reason why good arrangements such as these should be ended because of a few exceptional transgressions or blind prejudice." David has called for national government to stop interfering in local government. With both major parties now in favour of mayors, it looks more likely that Newcastle, or even Tyne & Wear, could have a Boris Johnson style mayor, but David says that if local government is to be truly local, national government should back off. "My experience of national Government, whatever political party they happen to be in, interfering in local government is they make a mess of it and it takes years to recover. "As it is, Gateshead is a better run local authority than either Hartlepool or Middlesbrough, both of which have executive mayors. What they should do is allow local government to organise itself - then that would be local government." David has criticised the spending of £1.2 million on a 200 metre bus lane. The lane, which costs £5449 per metre was installed by Newcastle City Council near the Haymarket is, according to David, a waste of money. "There are a thousand other more valuable schemes this money could have been spent on. The Labour Group raised concerns during the planning stage of the project because we didn't feel the plans justified the money. "We felt the money could have been better spent elsewhere. The whole cost is excessive and we are not getting the value out of it we should have." 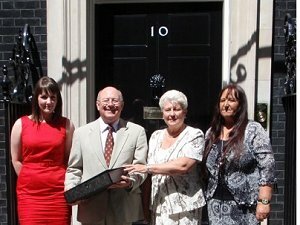 David made arrangements for representatives from the Gateshead Carers' Association to present their 1300 name petition about the Carers' Allowance to Number 10 Downing Street last week. 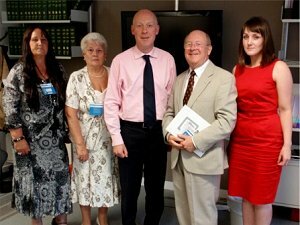 He then took them to meet with the Minister, Jonathan Shaw where they were able to raise their concerns - about the 'cliff edge' problem for Working Carers who lose all of their entitlement to the Allowance if they earn even one penny over the earnings limit and about the loss of the Allowance when a carer reaches pensionable age. His/her caring responsibilities don't cease to exist when a carer reaches 60 or 65, but current regulations prohibit a carer receiving both a pension and the Allowance. After the debacle over National Express failing to operate the East Coast Main line successfully, David has called for public ownership. This comes after National Express's short life as the franchise holder following GNER's pull out after its parent company ran into problems. "The whole question of the franchises needs to be looked at again. This is the second time we have had this problem with the East Coast Main Line and it is a very important line for the North East of England. "My view given what has happened, it might be better it was left in public hands and the Government set up an organisation to run the railway." The UK's largest transport operator, First Group, are vying to take over National Express East Coast. David says the bid, so far rejected by National Express, needs to be examined, but his main concern is the effect on passengers. "We will have to take a close look at what the implications are. There may be competition issues concerned. But my main concern is what impact this may have on passengers on the East Coast Main Line." David has said that he would like to see the in house bid by Nexus to run the Metro succeed. 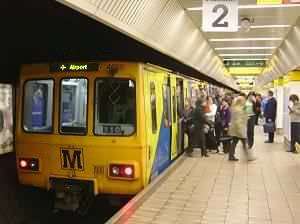 The government has made private bidding to run the Tyne Wear Metro a condition of getting £300M for upgrading and modernisation of the system. David says the infrastructure is not being privatised. "The whole question here is what can we do to make sure the money put into Metro gives us even greater results. I would expect that within the 20 years we are looking at we will more than make up that amount. "Whatever happens we will have a rail infrastructure owned by the public, but possibly with someone else operating the trains. It is not being privatised. I personally would like to see the in-house bid win, and I don't see any reason why they should not." Apart from the bid Nexus bid, interest has come from the state owned German Deutsche-Bahn, as well as from the Netherlands and China. David has highlighted the success of Gateshead FC in Parliament. He has tabled a Commons motion congratulating the club and all associated with it on its promotion to the Blue Square Premier League. That this House congratulates Gateshead Football Club, its supporters, players, management team and all associated with the club in gaining promotion to the Blue Square Premier League; and wishes the club well on its way to returning to its rightful place in the Football League. David has hit out at plans by National Express East Coast to charge for seat reservations. He says the £5 charge for a reserved seat on a return journey is excessive. National Express are to introduce the charges this weekend. "I would have thought £1 would be a reasonable amount. The fact is it that people reserve seats on several trains during peak times out of London, so they can take the option of which train they catch. "And that means all the other passengers who wouldn't get reserved seats have to stand in the aisles in case the other passengers turn up,"
David has hit out at sections of the press who are 'having fun' with MPs' expenses. He says it is bad for democracy that there is no rational discussion. "It just seems like parts of the press are having fun with this. That might be deserved for some. But it is bad for democracy that we can't have a rational discussion about the issues." National Express going off the rails? David has called for National Express to come clean about the future of the East Coast line. Amid rumours of financial problems for the company, David says the company told the Commons Transport all was well, but it would seem there is doubt about that. "My suspicion is that National Express has bitten off more than it can chew despite the fact that when they came to the select committee they denied they had any problem at all and things were going smoothly." David says that National Express East Coast are falling down on the job. After figures which show a huge rise in complaints, David says this compares very unfavourably with the way GNER ran the service, which was "successful and popular". "I am aware that more people have been complaining about the National Express East Coast service. "National Express took over a very successful and popular franchise and I see no reason why they should be having these problems. If things don't improve then there should be a close look at whether they are meeting the contractual terms of the franchise agreement." David has welcomed news of a loan to develop electric vehicles in the North-East. The European Investment Bank is lending Nissan £380m, half of which will be spent at Washington to develop greener vehicles based on the latest electric technology. "It is very good news and it is where the future lies in reducing emissions and having more efficient vehicles." Sports Minister Gerry Sutcliffe is to look into the funding for the local English Institute of Sport (EIS) at Gateshead Stadium. David has secured this pledge following doubts about the future of the EIS. He has tabled a Commons motion on the subject. "There had a been a slippage in funding for EIS at the beginning of the year, which meant they weren't going to have the money to pay staff and that was across the country. And in accordance with the law, they had to all give them notices but they knew it was only a temporary thing. Now that has been sorted out and all those notices have been withdrawn and that includes the Gateshead facility." David said there was the problem for obtaining work for the EIS at Gateshead because the region does not have a major sports body to provide funding. "They are now using that money for the benefit of their sport which itself doesn't look too bad - excepting they now have decided to concentrate the money they are getting in the areas where they are maintaining facilities. So that means for instance swimming is based in Bath. So the premier coach for swimming who was at Sunderland swimming pool, David McNulty, has gone off to Bath. "We have lost him because the sporting body decided that's where they are going to have the swimming. Similarly the cycling is being concentrated in Manchester." When David spoke to the Minister, he told him he was very unhappy with the way things were done, saying it has a detrimental effect on regions like the North-East. "We don't have a major body in our region and it's for the bodies themselves to decide where to go - so we have got no control over it. As they are using public money, I think ministers and politicians ought to have an input into what is going on there." "We were given the assurance that the Olympic Games project would benefit all regions. And here we find that because the sporting bodies decided in pursuing the Olympic project they are going to concentrate the money in certain areas, that our area loses out." After Terrier, FRES and Warrior? David has called on the government to make an early decision on future army contracts for BAe Systems. The MoD wants to build a new Future Rapid Effect System (FRES) fleet of vehicles and upgrade the Warriors. It is not yet known where the contracts will go, but Defence Ministers have been told Tyneside needs to know to safeguard more jobs. "I brought the previous minister, Baroness Taylor, up to see the factory and this week we have had her predecessor up here. I'm confident that ministers know how important this is to us, and I know the staff at the Vickers factory are in an excellent position to provide these vehicles." David has welcomed news that hundreds of jobs at Vickers on Scotswood Road are safe thanks to a £300m government contract. The order is for sixty Terrier vehicles which clear the way for our troops, removing obstructions. It is hoped that further news from government will Secure the future of more jobs. "This is excellent news, it is a big order. It is good news for both the North East and BAE systems on Scotswood Road. It secures employment for the future and will be a big boost for the apprenticeship scheme. "I'll be seeing them when the minister arrives and discussing what other support can be offered in the future. "It is a vote of confidence in our engineering skills in the region. "A £300m order may not be a big issue for the company nationally, but in Tyneside it is great news and I think it will offer a lot of security, some certainty, for workers at Vickers." David has tabled a Commons motion urging the government and UK Sport to "act swiftly" to save English Institute of Sport facility based at Gateshead Stadium. He points out that this is contrary to the assurances given that the 2012 Olympics would create more opportunities and he says that the closure would deny the region of vital support services hindering North-East sporting excellence in the future. Clelland, David That this House expresses serious concern at the news that the English Institute of Sport facility based at Gateshead Stadium is under threat of closure; considers the provision of expert medical and physiotherapy support at this important centre of excellence as vital to the maintenance and continuing development of sporting excellence in the North East; notes that such closure would be contrary to the spirit of assurances given by Ministers that the Olympic project would enhance sporting opportunities across all regions; and calls on UK Sport and Government Ministers to act swiftly to prevent the closure of this facility in Gateshead. David has hit back at Lord Tebbit on the 25th anniversary of the start of the Miners� Strike. Lord Tebbit said that the Thatcher Tory government had wanted to bring prosperity to the North-East, but David said they used the police as a �political weapon� to devastate communities. "I don�t think Scargill covered himself in glory but they on the other hand, there was a definite abuse of power by Margaret Thatcher and Tebbit at the time. 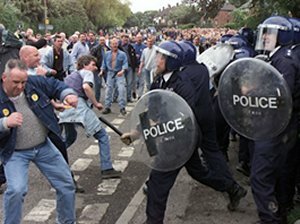 They used the force of the police as a political weapon against communities up and down the country, not just in the North East of England. These communities will never forgive them for it." David said that National Express should think carefully about cutting jobs and services on its profitable East Coast Rail line. The operator is said to be asking to pay the government less for its franchise despite increased profits, and there are fears the service could be reduced a minimal level. 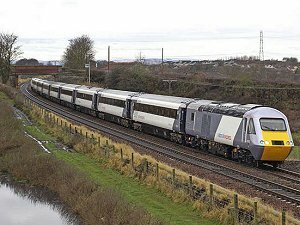 The company has said it will meet timetable commitments, but other services above the minimum required could be targeted. "National Express should think very carefully before cutting jobs and service. Obviously they are a business out to make profit and so I would be not at all surprised if they attempted to use these results as a way of trying to reduce their commitments in some way but I certainly don�t think they have a case for that." David has given a warm welcome to news that Gateshead is in the running for a new factory to build the new Super Express trains. British-led consortium Agility Trains have indicated that Gateshead is a strong contender and it would bring hundreds of jobs to the area. "This is fantastic news. This is a huge opportunity for the North East with a project that�s easily as big as when Nissan first came to the region." 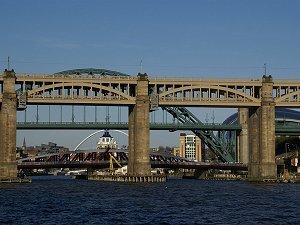 "I have been in discussion with the Transport Secretary Geoff Hoon about locating the project in Gateshead and Also Mick Henry at Gateshead Council. We must pull out all the stops to bring the manufacturing facility to Gateshead , and I will play my part. "The North East has a long and proud history with the railway industry. Gateshead has been a big player in the industry in the past and I hope we can be in the future." David is giving his support to a campaign to help pleural plaque sufferers. The campaign, backed by the Evening Chronicle, aims to overturn a House of Lords ruling which is preventing sufferers from receiving compensation. 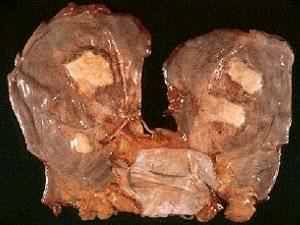 The disease is caused by exposure to asbestos. "These people need support. They suffer badly enough with the effects of the disease without having to struggle to get reasonable compensation." David has said the question of rail franchises is to be examined by a Commons Committee. This comes as Sir Richard Branson has said he might step in to take over the East Coast Main Line from troubled operator National Express. David says the Commons Transport Committee of which he is a senior member, will be looking at the issue. "The transport select committee is looking at the whole question of franchises and hopefully, we will get to the bottom of all the details of this." "I wondered if Mr Bunting had seen the Newcastle Journal which has an article about projected problems that there might be in the franchise for the East Coast Line and suggesting that Richard Branson might have an interest in taking it on." 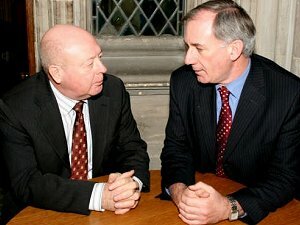 David has received an assurance from Transport Secretary Geoff Hoon that the region needs to be linked into high speed rail networks. He met with Mr Hoon to press the case for the North-East�s transport needs and also to raise the need to consider a system to use Maglev technology of which David is an active proponent, making the case in the Transport Committee whenever the subject is discussed. "It is important to look at the latest technology if such a route were to be built. And of course any high-speed rail line needs to be linked up to the North East and Scotland and in my discussions with the Secretary of State, he fully recognised that,"
A reservation charge on trains could help passengers, according to David. 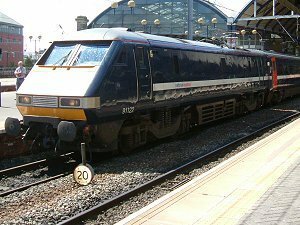 National Express East Coast plan to introduce a £1 fee for seat reservations to reduce the number of reserved seats that are not used. David says this would be welcome. "There is a frequent problem on many services in which people reserve a seat on different services which they may not intend to use. "We will all be familiar with getting on a train and having to wait until it is moving before you can start trying to track down which seats have been booked but not used." Travel Smart cards for use on public transport are coming to the North-East. David has welcomed the news as "the way forward". 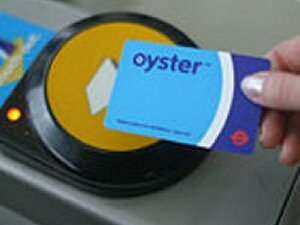 Similar to the London Oyster card, users will be able to use a single card for travel on the Metro, buses and trains across the region in about two years. "It�s certainly the way forward. The system works in London, where it is very popular and very useful. It brings people back on to public transport and is definitely the way to get commuters to travel." David has joined calls for Northern Rock to be allowed to lend money. The bank is ahead of schedule in repaying its debts, and David says that it should now be allowed to offer credit once more. 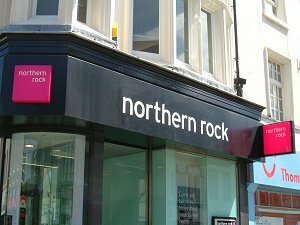 "Given the changed circumstances and the fact that Northern Rock seems to have stabilised, yes, the Government should look at revising the business plan."